Our final Science Fiction showcase of 2018 has titles in it that think the unthinkable, do the undoable, and grapples with the ineffable from Lies Sleeping by Ben Aaronovitch, to the future noir of Richard Morgan’s Thin Air. Terry Brooks science fiction outing, Street Freaks to Joanne M Harris’s The Blue Salt Road and the wonderful Empire of Sand by Tasha Suri. From tales legendary to those full of trickery and wisdom this selection ranges far in the geography of imagination. These new Science fiction and Fantasy titles hold something special for all tastes. Lies sleeping / Ben Aaronovitch. “Go into the Red Zone. Go to Street Freaks.” his father directs Ashton Collins before the vid feed goes suddenly silent. The Red Zone is the dangerous heart of mega-city Los Angeles; it is a world Ash is forbidden from and one he knows little about. As Ash is hunted, he must unravel the mystery left behind by his father and discover his role in this new world. The blue salt road / Joanne M. Harris ; illustrated by Bonnie Hawkins. 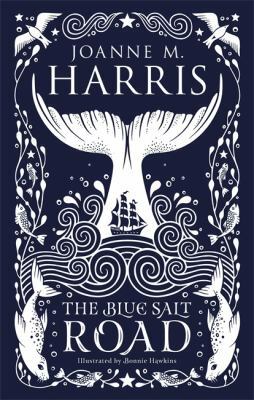 “The Blue Salt Road balances passion and loss, love and violence and draws on nature and folklore to weave a stunning modern mythology around a nameless, wild young man. Passion drew him to a new world, and trickery has kept him there – without his memories, separated from his own people. But as he finds his way in this dangerous new way of life, so he learns that his notions of home, and your people, might not be as fixed as he believed. Hannah Green and her unfeasibly mundane existence / Michael Marshall Smith. Fire & blood / George R. R. Martin ; illustrations by Doug Wheatley. “Centuries before the events of A Game of Thrones, House Targaryen took up residence on Dragonstone. Fire & Blood begins their tale with the legendary Aegon the Conqueror, creator of the Iron Throne, and goes on to recount the generations of Targaryens who fought to hold that iconic seat, all the way up to the civil war that nearly tore their dynasty apart. Thin air / Richard Morgan. Empire of sand / Tasha Suri.